Amelia Meath, left, and Nick Sanborn electrify the Crofoot crowd Sunday night as Sylvan Esso. 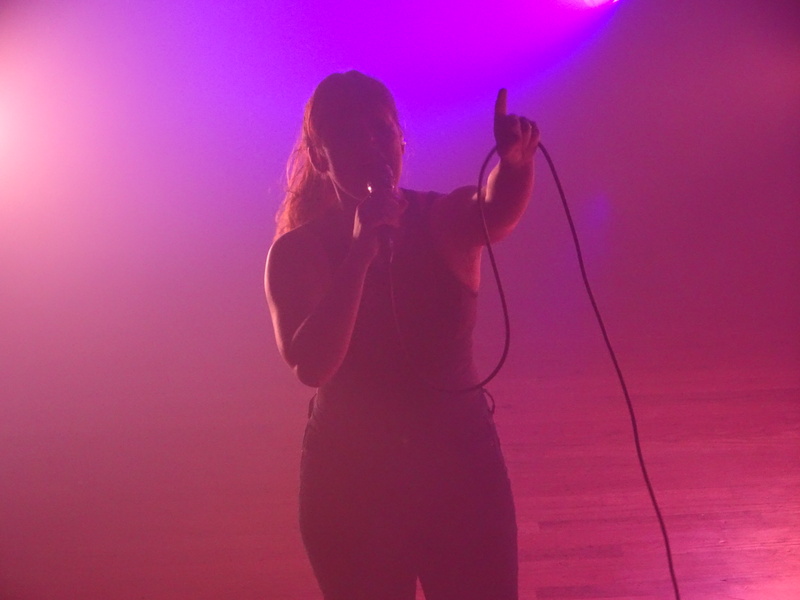 Surrounded by thick smoke and neon lights, Sylvan Esso’s pulsating beats electrified a sold-out crowd at The Crofoot Sunday night in Pontiac, Mich.
After opening with “Sound,” Nick Sanborn addressed the duo’s overdue stop in the Detroit area. Nearly 1,100 fans cheered in response to Sanborn and Amelia Meath’s long awaited arrival in the Motor City. 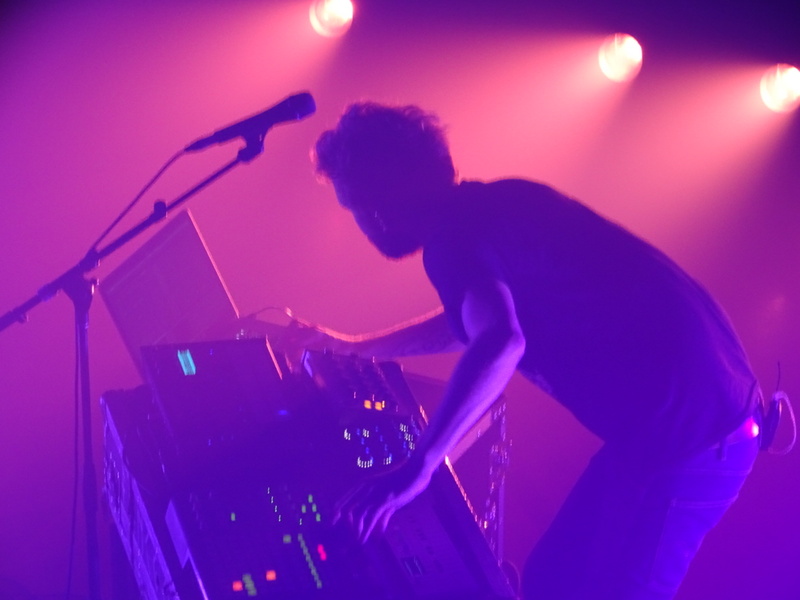 The anticipation was worth the wait as Sylvan Esso intricately weaved one pop jam into another for an eager crowd. 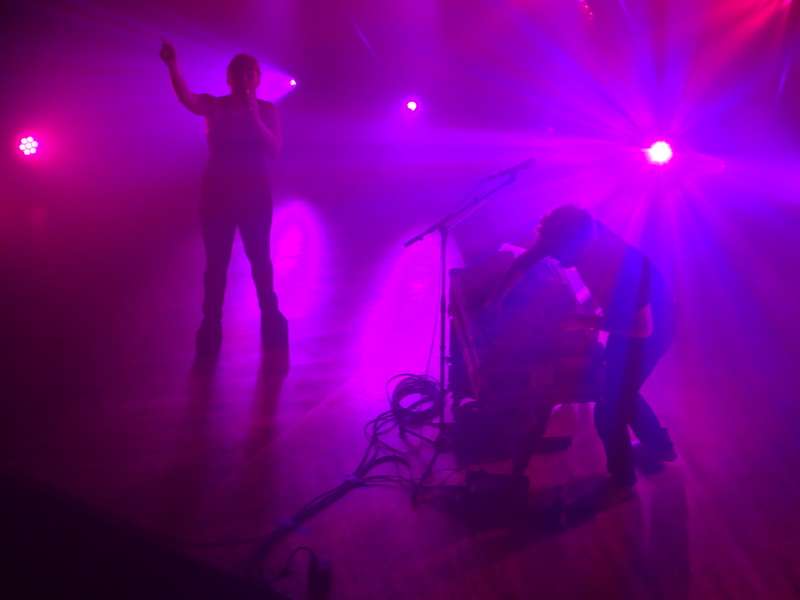 Sylvan Esso setlist highlights included “Kick Jump Twist,” “Die Young,” “Just Dancing” and “Radio” from “What Now” and “Could I Be,” “Uncatena,” “H.S.K.T.” and “Coffee” from their first album. After “Coffee,” Meath asked the crowd to howl in unison with her before singing “Wolf.” Together, they gave it two tries before Meath had formed her new Pontiac “Wolf” pack. With the pack on her side, Meath also talked about her recent visit to the Bat Zone, a new Pontiac-based nocturnal animal sanctuary located at 75 W. Huron St. Unlike Meath, Sanborn wasn’t a bat fan. “I admittedly walked into and directly back out of that place, but I applaud you for your bat bravery,” he said. Luckily, Sanborn and Meath played it right up until the very end and then disappeared into the night.